THE Zimbabwe Electoral Commission (Zec) has a mammoth task to explain the glaring anomalies popping out of its just recently-released voters’ roll. Instead of rushing to dismiss the inconsistencies highlighted by opposition parties, independent electoral watchdogs and biometric experts as cheap politicking, the electoral management body ought to introspect and rope in those interested, to help produce a credible roll, so as to avoid a disputed election outcome. For instance, Zec has to explain how eight people got registered under one address on the voter’s roll and that the address is nowhere to be found in the Harare City Council records? And if eight does not raise eyebrows wide enough, try 400 people that the MDC Alliance claims were registered using a non-existent stand number 100086 in Unit G, Chitungwiza. Further, while decreases in the number of voters are normal due to some failing to meet the registration requirements, how are there “notable decreases” from the provisional voters’ roll to the final one that was recently released? uencies and they cannot even find the address, can one honestly argue that these people are real? What about reports of some voters whose details indicate they are now 134 years old, making them the oldest people earth wide. These are just some issues that the “educated” electorate in Zimbabwe must ask themselves going into these elections. As 52% of the voting population was born after independence, the country’s future is solely in the hands of this born-free generation and must ask questions over election irregularities which are a constitutional right. The above-cited irregularities could just be a tip of the iceberg, but they paint a worrisome trend which, if not addressed urgently, could taint the whole electoral process. Section 155 subsection 1 of the Constitution says the State must ensure that the elections are free from electoral malpractices. So all pillars of the State should join hands to make sure Zec produces a credible voters’ roll for the benefit of all citizens. On its part, Zec is obliged to ensure that “whatever voting method is used, it is simple, accurate, verifiable, secure and transparent”. 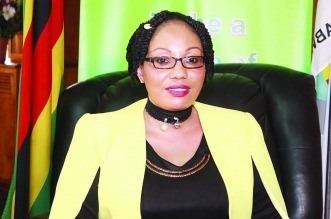 We find it strange that Zec chairperson Justice Priscilla Chigumba is the one who is leading the fight to resist any changes, casting doubts about her own impartiality. Zimbabweans in general and the voting public in particular owe it to themselves to hold Zec accountable. They have a right to demand accountability and be able to answer. And at the rate irregularities are being unearthed, the electorate should be able to answer the question: What if the July 30 election is stolen again as was the case in 2008?